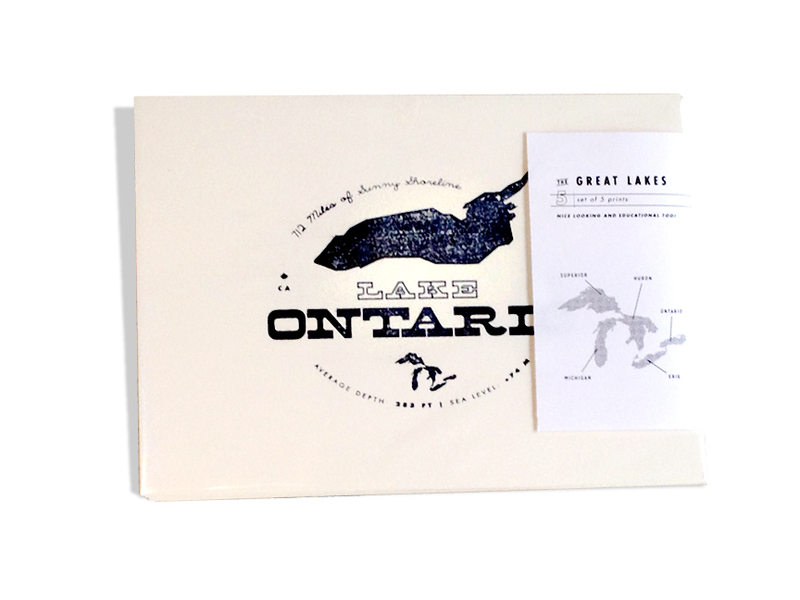 Growing up in the middle of Canada means large bodies of water are usually associated with lakes, and The Great Lakes, well they are gigantic. 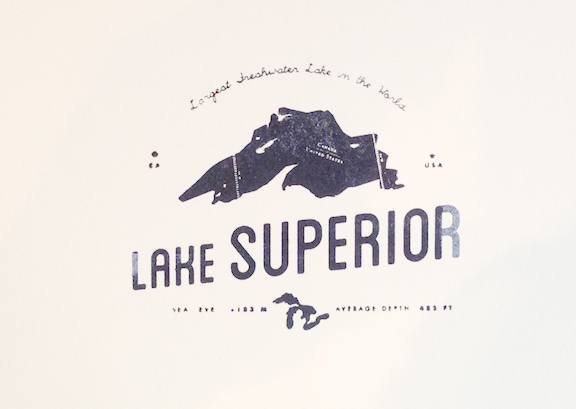 Lake Superior being the largest fresh water lake in the world. 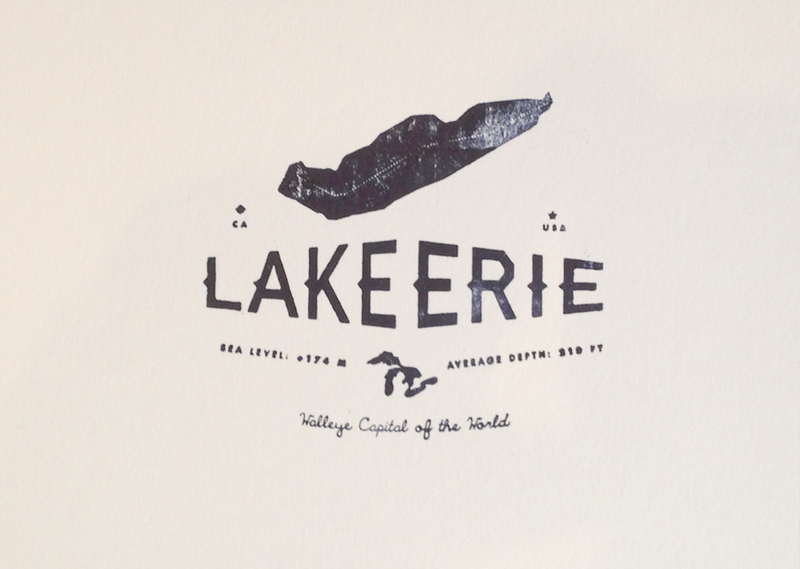 This project started as a Lake Superior logo, then enter a shiny new (dusty old) letterpress and it became a letterpress series. 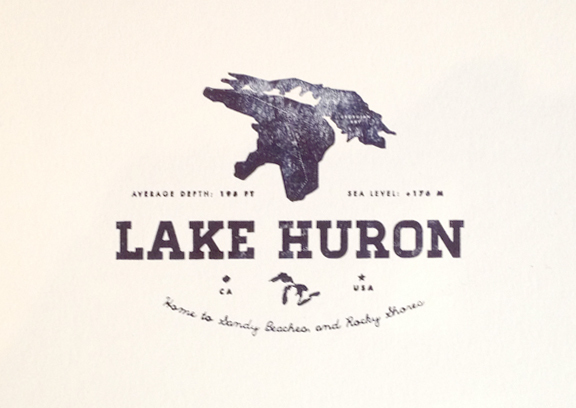 Each print includes the average sea level, average depth, if it has a US and/or Canadian border, and a claim to fame. Sets of 5 prints, in navy or black, can be found here in the Harry Canary Co. Etsy store. 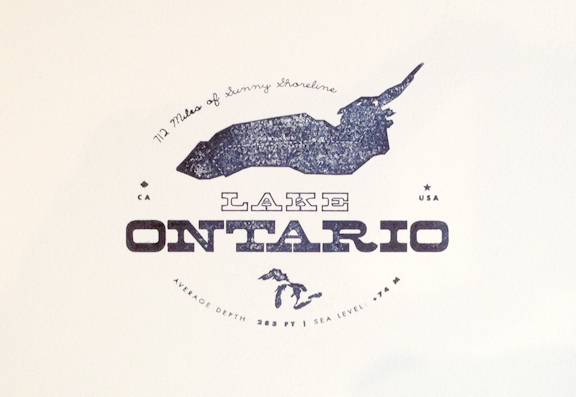 They are also sold in Toronto, in store at The Drake General Store, La Merceria, Labour of Love and Scout. 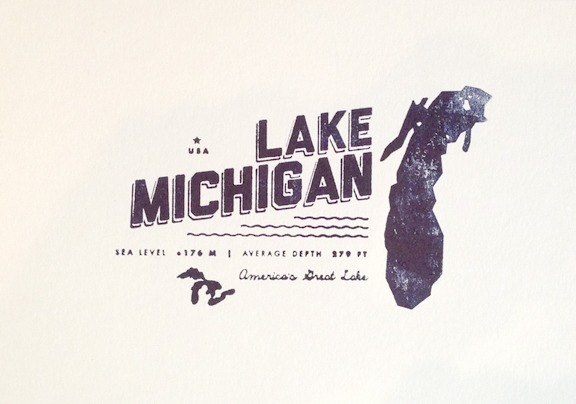 Tags: fresh water lake, Great Lakes, Letterpress, navy, Prints, Projects, series, water. Bookmark the permalink.